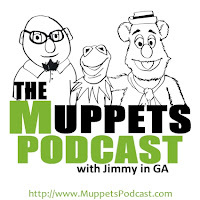 In the second episode of the new Muppets Podcast. We talk about my recent trip to Downtown Disney. We take a look at ten of the latest news stories in The Muppets Podcast News Flash including Man or Muppet and the Oscars, The Kids Choice Awards, The Muppets Opens in the UK, Piggy at BAFTA and more. We also share some more Muppet websites including MuppetCast, Muppet Musings, MuppetFans and The Muppet Kid. We take a look at the latest Muppet Marvel Magazine and more. Subscribe in iTunes.